After the ceremony we went out to the hills at Dove Canyon Coutnyr Club for some romantic photos of just the bride and groom alone. 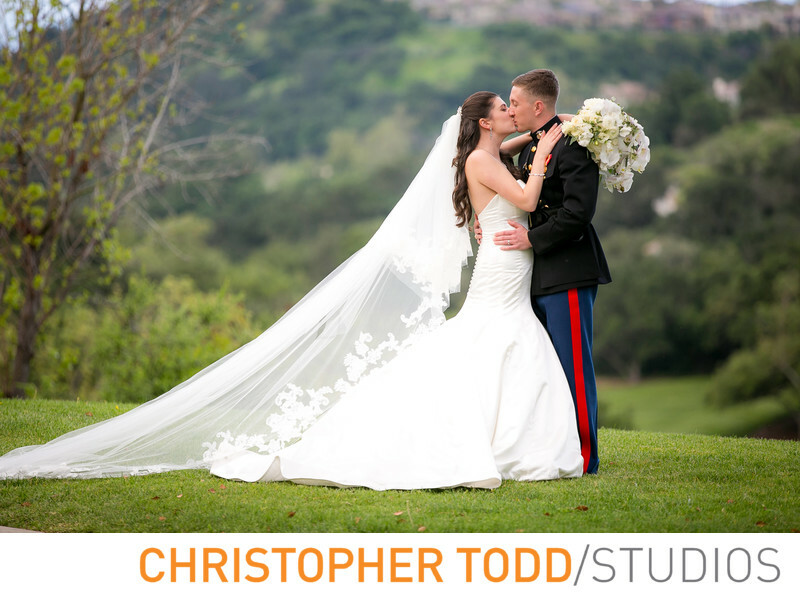 This photo is so beautiful with Canyon in the background and the groom dressed in his dress blues. The bride had her cathedral veil extended fully in this portrait. 1/200; f/2.8; ISO 400; 190.0 mm.